In the 1980s, the rural town of Fayette, Utah boasted a local population of just 165 residents. It was a town that even most Utah resident hadn’t heard of. However, a man named Roland J. Christensen, who had grown up there, wanted to change that. With a keen sense of innovation and meticulous attention to details, Roland set out to build several companies, employ local residents, and change the lives of many who lived in the area. Growing up in a rural town taught Roland Christensen several valuable life lessons: the rewards of strong personal relationships, the value of hard work, and a strong sense of community. After obtaining a PhD in Mechanical Engineering from the University of Utah, serving as an officer in the US ARMY, and working in various positions at several carbon-fiber related companies, Roland Christensen returned home to Fayette in the mid 1980’s to start his own company. Roland was a gifted engineer and, in an extension of his garage, began developing a better driveshaft for helicopters. Although it was initially just an experiment, he was successful at it and people started to take note. With interested customers, he decided to launch a business called Applied Composite Technology (ACT) in 1985. In the early days, ACT began with just a few employees. However, using his keen sense of innovation and detail, Roland quickly diversified into carbon fiber gun barrels and prosthetics and grew the company to about $5 million in annual sales and 25 employees. At their core, ACT designed world class carbon fiber prosthetic feet and knee parts that sold worldwide. This would be the focus of their company as they grew over the next three decades. However, over time ACT began looking at new industries to enter. It wasn’t long before they developed several other companies including Christensen Arms and ACT Aerospace, founded in the early 2000’s. 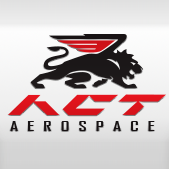 Today, ACT Aerospace is the largest of the companies and is widely known across the aerospace industry. After opening a new 180,000 square foot facility in nearby Gunnison, Utah, and hiring 140+ employees over the years, their business continues to grow. This growth has come from continuing to focus on engineering and manufacturing of high-end, strong, lightweight aerospace components with a low overhead model, which is unmatched in many industries. 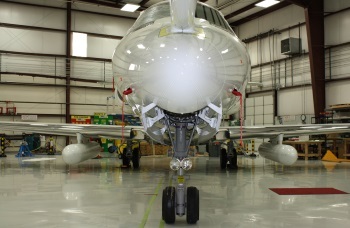 ACT manufacturer’s crucial components for many respected aircraft in the industry and have earned a reputation for quality engineering. ACT is vertically integrated and can handle everything from tool design to final assembly. With a full scale machine shop, large autoclaves, and a staff of experienced engineers and tool fabricators, ACT is able to quickly and efficiently manage any composite related project to any customer specifications. In addition to that, ACT Aerospace has over 20 years of composite design, analysis and manufacturing success, taking advantage of Roland’s 35 plus U.S. patents. 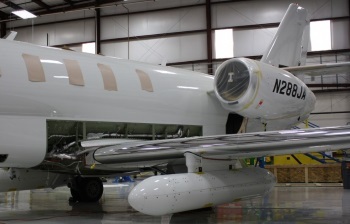 ACT Aerospace has the capability to take a client’s product from design to build and test all at one location. They have embraced a cradle to grave model to take clients from beginning to the end product in a very responsive and nimble way. 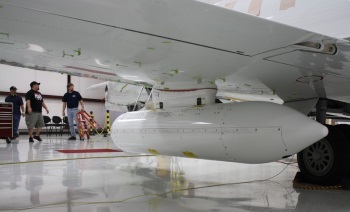 The results have given ACT Aerospace the ability to secure contracts that have given the company continuing success. With 60% of their business coming from commercial aerospace and 40% from defense, ACT is on track for healthy growth. Their projected sales for this year are $25 million with over $50 million expected by 2020. Although this growth is exciting, it will not come without challenges. Finding qualified local talent is one of the major concerns for ACT right now as they hire 8-10 new employees per month. However, , they are committed to staying in Gunnison and are convinced they can recruit outside talent into the area if needed due to the quality of life and outdoor recreation opportunities of the rural area. From starting in a garage over three decades ago to now employing over 300 workers (most of which are from Sanpete County), the future looks bright for ACT. In Roland’s mind, there was never any doubt he could do it and provide meaningful jobs and wages for his small town. He has indeed succeeded- perhaps even beyond what he imagined.